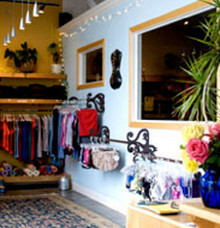 In September of 2004, Village Yoga opened up in downtown Santa Cruz. Run by Amy and Sally, who are both eternally grateful to the people of the Village Yoga community who continue to amaze and inspire. Although our vision of seeing people bright eyed and smiling from their yoga glow was clear, we never could have imagined the profound sense of support, love and community that has developed. May the blessings of the yoga and our togetherness continue for many years!